Leveraging 45 years of quality and biomechanics excellence from the industry leaders at Life Fitness, the InMovement TreadMill Desk is designed specifically for the workplace, and helps boost productivity, metabolism and overall health. Work while you walk, on the very best in treadmill technology. Backed by 45 years of Life Fitness quality and biomechanics excellence, the InMovement TreadMill Desk offers an adjustable, ergonomic experience. 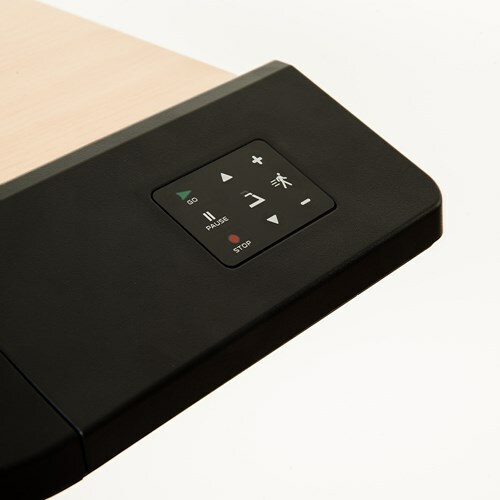 Designed to complement the workplace in form and function, our TreadMill Desk is equipped with a silent motor, speeds that are optimal for walking while working, and a sturdy design ideal for community or individual use. Call 1-800-875-9145 to speak with one of our fitness advisors with any questions you may have about the InMovement Treadmill Desk. Born from Life Fitness, our workplace walking solutions are made with best-in-class treadmill technology. When you sit for too long, you restrict blood flow. As you move more throughout the day, your body is able to maintain optimal function, leading to improved cognitive function. Physical inactivity can lead to all kinds of health problems, including obesity, heart disease and diabetes. But short bursts of walking really add up. Research shows that walking even 22 minutes a day can reduce your risk of chronic disease. 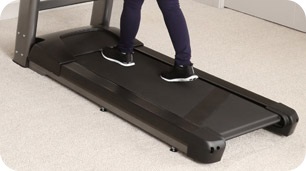 Built by the industry leaders at Life Fitness, the FlexDeck® Shock Absorption System makes multi-tasking easy on the feet. Your productivity won't be the only thing going up. 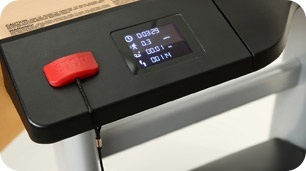 The desk surface raises and lowers in seconds with the push of a button. 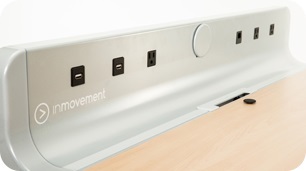 Power your devices while you add energy to your workday with the fully integrated connectivity panel. Track time, step count and even distance walked. Now that's a step in the right direction. 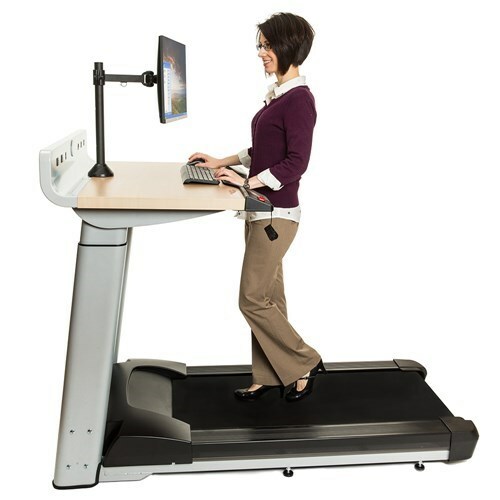 User Height Range 4'10" - 6'6"
Integrated LCD Display 2.5" x 1.8"
Work Surface 31.4" x 40.0"
Walking Surface 48" x 20"
Order your InMovement Treadmill Desk from FitnessZone.com today!